Solo travel is on the rise in a meteoric way and it’s set to soar even higher in 2019. Gone are the days of packing for your annual family holiday with your brother, your parents, all your friends and your third cousin twice removed. This year, if you want to give yourself a bit more ‘me-time’ and headspace from day-to-day business and family busyness, why not consider going it alone and exploring in a different way. That’s one decision made, but where should you go on your first solo expedition? Well funny you should ask, because we’ve got some top city break suggestions, whether you’re looking to meet other like-minded adventurers or simply enjoy your own company in new surroundings. Plus, if this is your first solo adventure make sure to check out the dos and don’ts of travelling solo. Start your solo escape with the friendliest nation on the planet – the Canadians really do live up to their stereotype and will give you the warmest welcome. With less than 2 million inhabitants, Montreal has got an up-and-coming city feel but with a slower, more laidback pace than its North American counterparts (New York is just a 6-hour drive from Montreal), making it great for exploring at your own pace. With only four metro lines, it’s incredibly easy to get around and you’re never far from a bus stop or a Bixi bike rack – Montreal’s answer to the ‘Boris’ bike. As a capital of culture and the arts, there are plenty of must-see galleries and art installations around the city including the renowned Museum of Contemporary Art (MAC). Take the time to walk through the quaint and historic French streets by the Old Port. Then scour the vintage shops of the Plateau region, before choosing from 30 different types of the national dish poutine at La Banquise. Avoid the queues, order it to take away and enjoy your cheese curds, chips and gravy (trust us, it’s G.O.O.D) in front of the lake at Parc La Fontaine – ah, bliss. 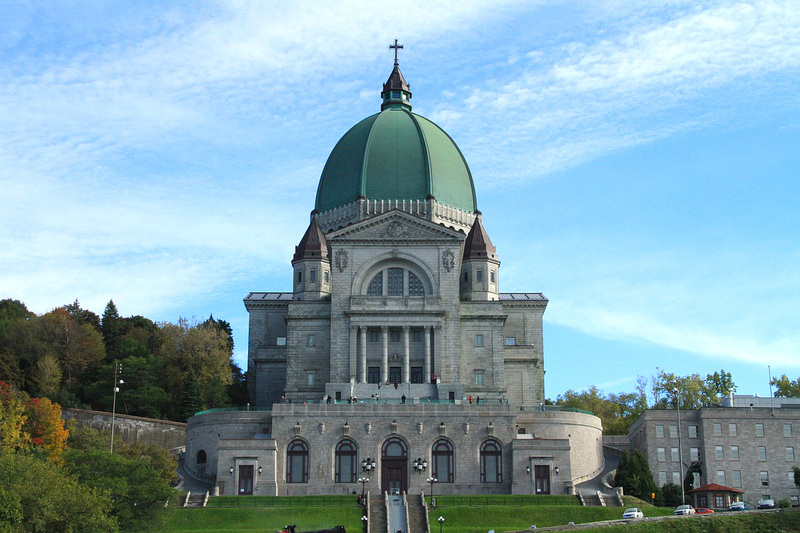 Our must-see sight: Towards the end of the day, take yourself off to Saint Joseph’s Oratory, climb the steps, and sit at the top for a quiet and uninterrupted view of the skyline – everyone else will head to the top of Mount Royal. It’s the ideal spot for a moment of reflection and to watch the sun set on a clear day. To truly get away from it all, escape to Reykjavik, the world’s most northern capital. Despite its small size, it packs a punch in creativity, culture and nightlife. It’s almost crime-free so solo travel in this city is common and you’ll find many other people travelling alone. Take the time to walk around the residential streets as well as the main city centre – its vibrant, colour-block houses are a sight in themselves, and all set against the famous Hallgrímskirkja Church which dominates the skyline, it’s an insta moment just waiting to happen. If you want a bit of history thrown in too, join a free City Walk and meet fellow travellers along the way – just give a donation at the end of the walk. If you want to be extra social and mingle with the locals, head to one of the many bars and cafés in the evening, most of which stay open until 5am on Fridays and Saturdays. Check in for some stand-up comedy, trivia nights, theatre and plenty of cabaret performances, where you’ll find like-minded solo travellers looking to socialise. 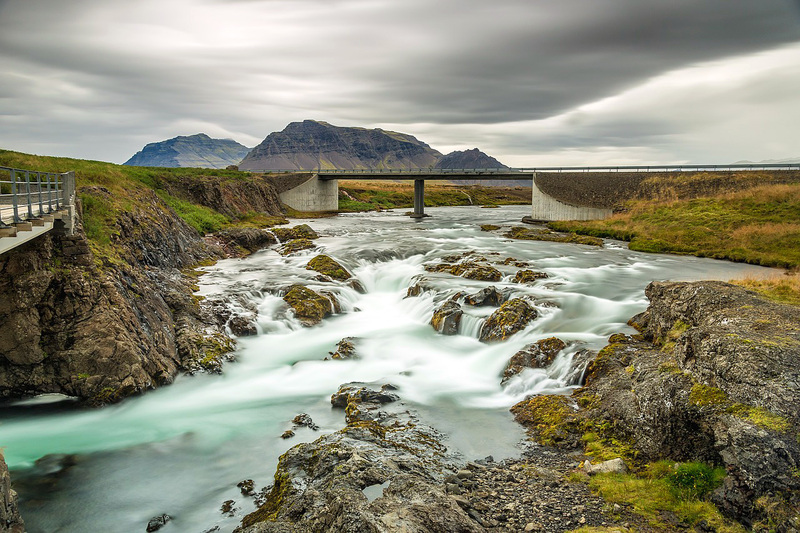 Our must-see sight: Get out to the countryside and visit the rugged landscape of rural Iceland. Book a tour of the Golden Circle to tick off three iconic, stunning locations – Gullfoss Waterfall, Geysir Geothermal Field and Thingvellir National Park. And with so many tour companies on the market, prices stay low, just remember to book in advance and grab yourself a deal. 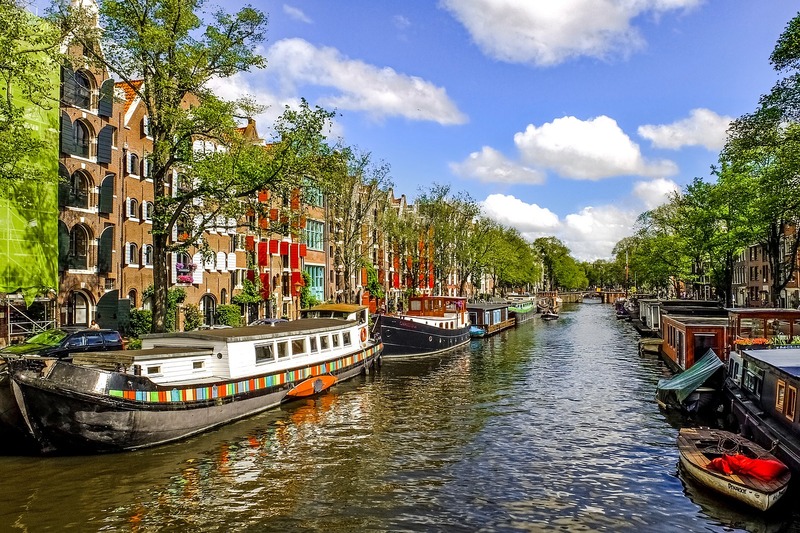 Even if you’ve ticked this great city off your travel list, it’s worth experiencing Amsterdam as a solo traveller. When you travel with someone else you may find yourself compromising on what you want to do, and you know what, some things are just better when you’re on your own, right? Right! It’s a safe city, the people are friendly, and it’s all walkable or cyclable (just wear your comfy shoes). Visit Museum Van Loon, a peaceful haven, tucked away from the busy network of canals. When you re-emerge, grab an afternoon coffee at Kettencafe Kopjes, that’s a cat café in English – yes, we did say ‘cat café’– and hang out with some furry felines. Then in the evening, head to the Van Gogh Museum for a bit of culture and the chance to meet more travellers. It’s open until 9pm on Fridays and on the last Friday of each month, the museum hosts ‘Vincent on Friday’ with live performances, dance and DJs. Our must-see sight: Take the ferry to NDSM (that’s an acronym for a ship building company if you’re wondering) and you’ll discover a whole new side to Amsterdam and far fewer tourists. For a start, the ferry is free (we’re on board with that) and it only takes around 15 minutes. A transformed industrial shipyard across the River IJ, NDSM is now a creative and cultural hotspot where you’ll find a beach (who knew? ), impressive street art, vintage stalls, and a crane to bungee jump from. Hanoi is constantly rated as one of the safest cities for solo travel and you’re bound to bump into like-minded travellers in Vietnam’s capital – it’s a favourite among backpackers. Start in the Old Quarter and get stuck into the traditional street food from a steaming bowl of Pho to sizzling fried pork Bun Cha. Sit and eat by the roadside so you can take in the bustling market scenes. And while the busy streets and disorderly traffic can be pretty overwhelming, it’s still easy to get around since every street is named after its trade. If you’re travelling to find some inner zen, escape the chaos and take a stroll around Hoan Kiem Lake. Go in the morning when locals are practising tai chi or playing chess at The Temple of the Jade Mountain, or even better, visit in the evening when streetlights surrounding the lake are reflected in the water. And if you’re wondering when to book your flights, we’ve looked into it for you and found the best time to visit Vietnam. Must-see sight: Head along to a water puppet show for a sense of authentic Vietnamese culture. This is no Punch and Judy – the tradition dates back to the 11th century and stems from a time when rice paddy fields flooded. Locals would then create their own entertainment and make puppets perform across the water. If you thought Nashville was all country music, Stetsons and cowboy hats… well, you’re not completely wrong, but there is certainly a lot worth seeing beyond the stereotypes. And as one of the USA’s friendliest cities, it’s the ideal solo city break destination if you’re looking to make some friends across the pond. The lively, inviting atmosphere, filled with upbeat tunes makes Nashville a great place for meeting new people and there’s no shortage of bars to visit day and night – listen to live music at Bourbon Street Blues and Boogie Bar every night and every lunchtime Monday to Friday. If you book early enough, you could get a spot at the coveted Bluebird Café in downtown Nashville, a key spot for fans of the hit TV show. Branch out from the music scene with a visit to the Parthenon, the centre piece of Centennial Park, and a 42-foot replica of the ancient Greek temple that you just wouldn’t expect to see in southern states. Next, stop for lunch at Puckett’s Grocery and Restaurant – something of an institution in Nashville – and try out their famous homemade cobbler and ice cream. Must-see sight: Bursting with shops and restaurants, the 12 South region is one of the trendier areas of Nashville. Potter among music stores and coffee shops, where you’ll find craft beer and vintage gems, as well as Reese Witherspoon’s own clothing shop Draper James. All flight and prices mentioned in this article are estimates of the cheapest prices based on Skyscanner’s flight search tools. These are subject to change and were correct at time of publication on 18 December 2018.